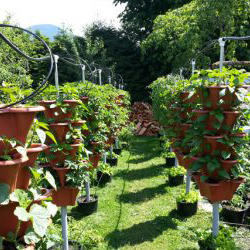 50 pot, 200 plant vertical garden. 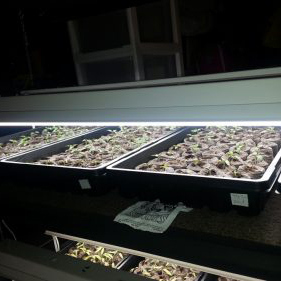 Grow vegetables and strawberries in a vertical garden. 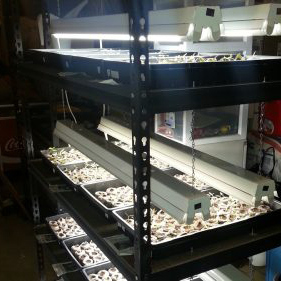 Complete system comes with 50 pots and room for 200 plants. 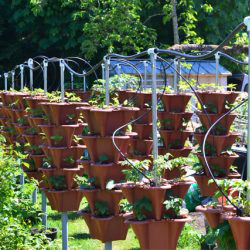 Includes everything to build your garden; pots, reservoir and feeder lines.